Less than a month until Japanese fashion retailer, Uniqlo, launches its two U.S. flagship stores (on Fifth Avenue at 53rd Street and 34th Street Herald Square) the fast growing clothing brand is going on a pop-up and sponsorship blitz throughout the city. It's all part of a plan to make Uniqlo, which plans to open 200 stores in the U.S. by 2020, a household name competing with other fast fashion retailers like Zara, Gap and Target in the States. 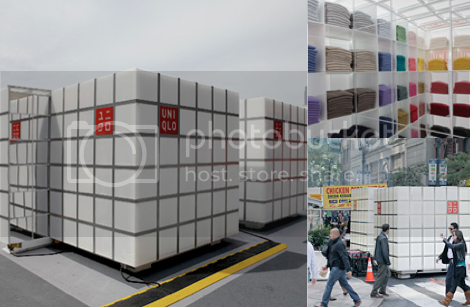 Using eye-catching cubes as its means of activation, Uniqlo is literally popping up at all kinds of New York City festivals such as the Hester Street Fair, Welcome Back to Columbia University Festival, Grand Central Fall Festival, Central Park Summerfest, Time Out New York DUMBO Arts Festival, New Yorker Festival and the New York City Wine & Food Festival. 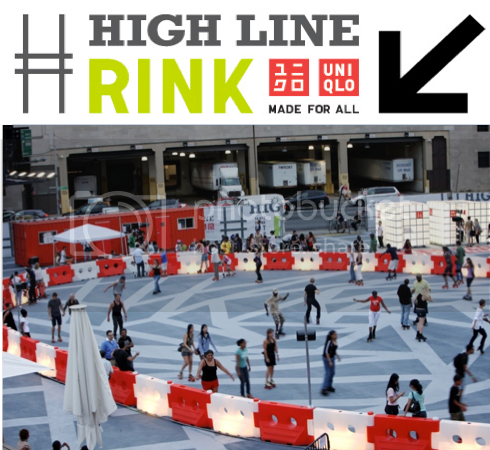 The brand has also sponsored the new skating rink under the West Side's High Line. A total of six cubes are traveling around the city and each one features one of four key product categories including Heattech, Ultra Light Down, Cashmere or UT (T-Shirt Collaborations). The cubes, produced by HWKN, will serve as a key source for up to date brand festivities leading up to the flagship store openings in the fall. “Uniqlo is proud to strengthen its ties to the New York community and through a variety of wide spreading pop up shops that sell high quality clothing at an affordable price.” says Shin Odake Uniqlo USA Chief Executive Officer, “We are excited to expand the Uniqlo reach throughout Manhattan while we gear up for the opening of two flagship locations this fall”. The company's internal PR department is working with Burson-Marsteller and boutique firm Agentry PR, according to PRWeek. More info on Uniqlo's NYC promotions can be found at uniqlo.com/nyc/now.